The sunsets have been torturing me by looking like candy all week. If I could, I would climb a ladder to the clouds and eat them. I'm 99% sure they're cotton candy. My goodness, those skies are unreal! Wow, that's so crazy! 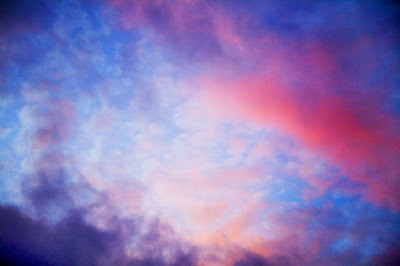 The sky DOES look all candy coloured :) It's amazing that nature does this, so pretty! Wow, spectacular! Nature is amazing (but usually not as tasty as candy). So much, in fact, that when I take my niece and nephew to the zoo, we always have cotton candy before lunch. It's a tradition and it started about the time I took my niece to the zoo and fed it to her probably a bit before you should have cotton candy! But, she's not talkin'! And, those pics of her with the baldy head with blue everywhere and cotton candy in hand along with cheetos?! Well, someone must have photoshopped those!!! btw ~ Gorgeous, gorgeous photos! I just discovered your blog and I love it !!!! YAY it makes me happy! soo pretty! and so very yummy looking! those are some amazing photos! insanely delicious! xD Im craving candy now! p.s. my name's katie (except i spell it 'kaytee'..kind of odd i know), too! 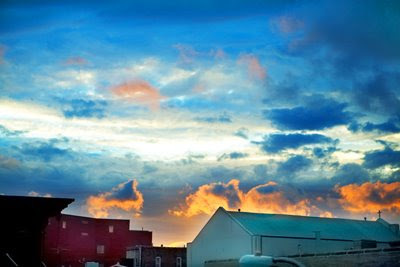 Skyscapes are my favorite thing to paint...these photos are amazing and inspiring! Major yum! 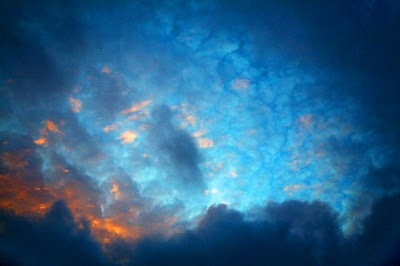 I always love looking at clouds when they're so boldly, yet delicately, colored like that and you want to eat them up. Beautiful pictures. Beautiful sky pics! And they really do look like cotton candy!! the fourth one looks like underwater! 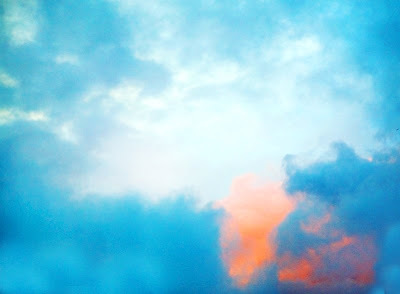 i love it when the clouds at sunset makes a orangey pink , blue mix of colors.. great pictures. your blog makes me happy! I stumbled upon this while doing some random reading at scipop, and the first person who came to mind is you! when it is raining, its really god drooling and then the clouds disappear because he's eating them. i can feel them dissolving on my tongue already. just lovely! Wow, they look yumable. :) The blues especially! Incredible photos. Thank you for making monday morning a little easier on my eyes. Wow the second one looks like it's on fire!! 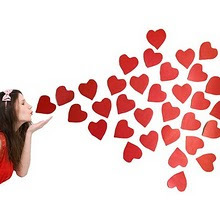 Thankyou so much for your amazing, inspirational blog sweetheart! thankYOU for having such a fantastic blog!! Love the photos. The colors are just gorgeous. They really do look like cotton candy. I escaped to Hong Kong from China where I live for a few days and one of the first things I did was check the blog! It'd been so long (cannot access blogspot from China). It gave me a cheer-up injection that will last me weeks! So gorgeous! After a short storm yesterday, the sky here in Sydney was literally bright orange, CSI-Miami style! Very surreal but so beautiful...wish I had my camera on me though! Wow, those skies are absolutely beautiful!! I've never seen anything like it! Hey Katie! You are such an ert! You have singlehandedly inspired me to do more fun stuff... thanks! 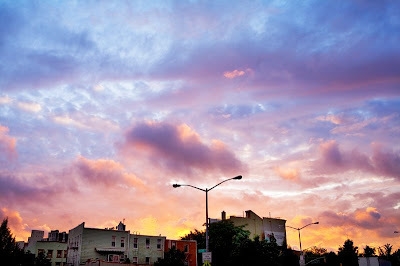 What tricks do you do with your camera to capture all the sunset colors? Your blog has sprouted many ideas in my head. Thank you so much! She, too, is filled with fantastic ideas. I would love to try the same here in Western Washington. Did you have your camera on "automatic", or did you adjust the settings? Could I be bold to ask what they were? Tripod or no tripod?